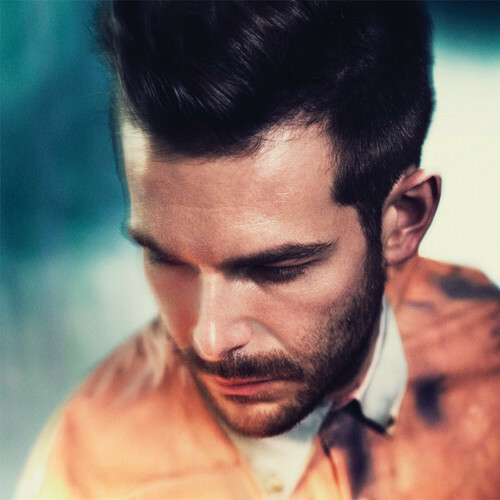 Singer, songwriter, DJ, producer, musician, clubnight host - add to this the fact that Rod Thomas (AKA Bright Light Bright Light) is pretty easy on the eye too and it's almost enough to make you sick with envy! Born in Wales and now residing in London, Rod released his debut album to much critical praise and has been gaining fans from all over the world. 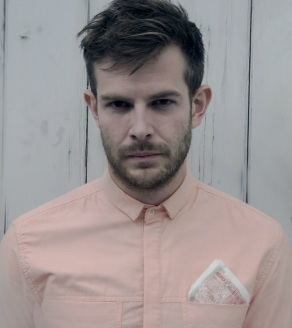 He will also be supporting the Scissor Sisters on their latest tour! Rod spoke exclusively to rucomingout about his music, being a gay role model and his own coming out experience. Congratulations on the album (Make Me Believe In Hope - released June 2012) - How personal is the album and are there any tracks that particularly stand out for you in terms of you revealing your innermost thoughts and feelings!? Thank you! It's been a really fun few years putting it together, but it's really great to have it released. It's partly personal, but I'm more of a storyteller than a heart-on-sleeve lyricist. Some of the more "personal" tracks (Moves, Grace) are about things that happened to friends of mine. I put all the songs in first person perspective though. I suppose everything ends up as my take on what happens, rather than what happens specifically to me. Like editing a collection of stories! 'Immature' is the one that is very specifically about me and where I was at the time. It's a song I wrote to keep myself in check - that we all have things we want, or hold out for, but actually you might end up missing out on what's great about now. It's so easy to miss the magic of the moment. You sing, write, produce and DJ! Have you aways been confident in your talents and did you get encouragement from family and friends when you were younger? I wouldn't say I was always confident, but I've always really enjoyed playing around with music - whether it was listening, singing, writing, or making mixtapes for the car. I grew up as an only child so got pretty consumed by the radio and music in general from a young age. It was such an easy way to hear so many people's viewpoints or hear about different lives and places. My family have always encouraged my love for music - right from flute lessons, to not killing me when I quit an actual job to busk on the London Underground, to travelling to London for my single launch party. Friends have always been amazing. I could never have had the confidence without them. Obviously some more than others, but on the whole I've been lucky and have met an incredible set of people on my travels. to and be inspired by." Do you think that singer/songwriters have a duty to be open about their sexuality considering the influence they have over their fans and the general music loving public? I think they have a duty to themselves, more importantly, to not allow themselves to feel like they can't be who they are. Probably more than having a duty to be open, I would say that it is actually more important not to actively pretend otherwise. I think a lot of people can understand someone not wanting to shout about their private life - whatever sexual orientation - but when it seems someone's had a double life or has hidden their sexuality, it fuels the fire that there's shame in not being heterosexual. Do you think that huge commercial success is feasible to openly gay musicians who write and sing about gay relationships, or do you feel that the overwhelming 'straight' music-buying public have an issue connecting with it? I have been asked this question a lot recently, and I do wonder if people have forgotten Erasure, Pet Shop Boys, Scissor Sisters, Elton John, Will Young, KD Lang ... they've all had enormous commercial success. I know Adam Lambert has talked about how the music industry isn't easy on gay artists, and I know that historically there have been people who have felt the need to underplay their sexuality in favour of their career, but I have never felt that my sexuality has been a hurdle in my career. 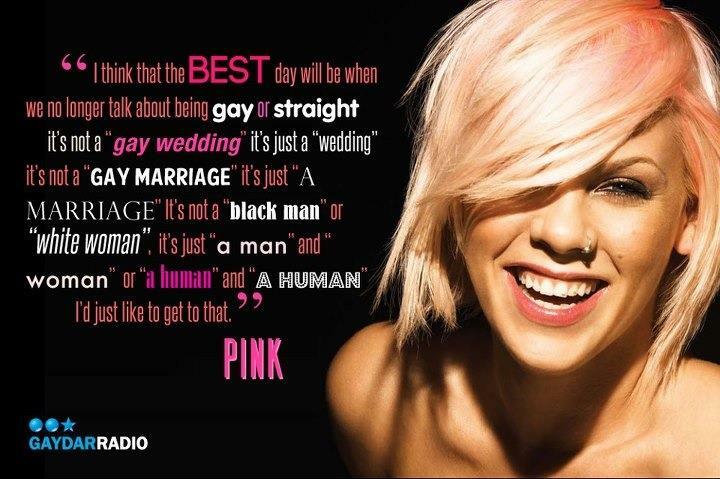 Personally, a quote I read on Gaydar Radio's facebook page from Pink the other day sums it up perfectly for me - "I think that the best day will be when we no longer talk about being gay or straight, it's not a 'gay wedding' it's just a wedding". I don't want to write about "gay relationships" I write about relationships. I have a problem with the emphasis put on the "gay" element of it all. To me, growing up, my biggest fear about coming out was how separated "gay" people and lifestyle seemed. How old we're you when you realised you were gay and when did you come out? I think I realised pretty early on, but I didn't understand it. When you grow up very rurally in South Wales, there's no exposure to much culture outside of your own. I'd never met anyone else gay until I was 15, and so I didn't really get my head around what I felt, or what it all meant. I came out when I was 17, and I remember being absolutely terrified. It's not the easiest thing I've ever done, but it was something essential. And I'm so glad I did it young, and that in all the relationships I formed from then onwards, I was open about who I was, who I fancied. me a lot more confident, more at ease with myself." I was a lot calmer, and a lot more fun. I know a lot of people who have only just come out closer to 30, and they had those awful moments of "telling friends" one by one after years of working out what to do, how to say it, what it meant ... and of course their friends didn't think of it as anything that changed their relationship - but the years of inner debate are exhausting and really unhealthy. The feeling of "needing to admit/confess" shouldn't colour your life. How do you feel about being a role model to young gay people? If somebody thought about me as a role model, I'd be incredibly humbled. I've never really thought about that in the scheme of things, I've always just done what I do, in the way I do it. I had a - not argument - but disagreement with a journalist earlier this year who criticised me for not being vocal or active enough about my sexuality, and it really riled me. I've played at countless Pride events over the last few years, I've spoken very honestly when asked about my sexuality in interviews, I run a gay clubnight, DJ at numerous gay bars, I even opened the debut single "Love Part II" with the line "Clever boy". For me, what I didn't have growing up was an out gay role model who was honest, but not overbearing with their sexuality. I don't feel like I have the right to be a mouthpiece for the gay world, but I am very much a part of it, and I am proud to be. That doesn't mean that needs to be my focus in what I say. What I want is for young gay people to enjoy themselves for who they are - whatever sexuality - and just feel like sexuality doesn't have to be the one feature that defines them to the rest of the world. It's one piece in a puzzle. Of course it can be if they want it to be, but it doesn't HAVE to be. Would you have any advice or words of encouragement for anyone considering taking that huge step out of the closet? Life is brilliant, and the world is full of a lot of brilliant people. Some people will have a problem with your sexuality. They are not brilliant. Honestly, in the 29 years I've been around, I can probably count on one hand the number of people who have ACTUALLY had an issue with me being gay, that I might have wanted to be friends with. I've been incredibly lucky I know. But what's important is that you live your life being comfortable with who you are, and hiding your sexuality just means you might miss out on meeting someone amazing, or that you'll live through years never really letting go, and never really being relaxed in your own skin. "It takes a lot of courage to come out, but in a few years you won't believe that at one point you ever felt you couldn't be honest about your sexuality." Once you've dealt with it yourself, the people you meet and become close to will be that much closer, because you never have that sickening feeling of worrying that you have to come out to them, and how they'll react. I'm actually very glad that I'm gay. I've had so much fun on the adventure from my teens to my 20s. I have never for a minute felt that it's been something to be ashamed of. I think the places I've been and the people I've met as a part of my being gay has made my life very colourful and I can't imagine anything different. Your videos are definitely unique and memorable. Is the visual side of what you do as important as the music or do you see music videos as simply a necessary tool of promotion? Visuals are really important. I come from that generation of buying physical copies of CDs and waiting for a band's video to come on TV. I love that with videos you can explore different sides to a song - use different colours or themes to draw attention to a lyric or an idea. And you can work with the personality of an artist in the videos. I've been working on videos for each song on the record. Partly because sharing videos or images is much more interesting than just sending an mp3 to a website, but also because the marriage of sound and vision has always fascinated me. Like how David Lynch's films or 'Twin Peaks' scenes are inseparable from the music that orchestrates them. When I make music, I can kind of picture the mood in terms of colour and movement, so it's really fun making a video that can try and get that across. Are there any artists you'd love to work with? Oh so many ... Pet Shop Boys, David Morales, Kate Bush, Depeche Mode ... but I'm always listening to new music and find exciting new people that I can work with. Also, I've been very, very lucky with who I've worked with already. Like I said, life is pretty brilliant sometimes! 'Make Me Believe In Hope' Album Out Now.